Tomorrow is my first day of filming season 7 on The Good Wife. I don’t think there could be many better going back to work gifts than waking up this morning to find out I had been nominated for an Emmy award for my work on the show! I am writing this from the South Island of New Zealand, having a few days of delicious downtime between the Auckland Writers' Festival (which was a blast) and the Sydney Writers' Festival (which I am very much looking forward to). It's been a while since I have been to Sydney and am looking forward to catching up with friends, and of course, watching the Eurovision Song Contest next Sunday with a bunch of Aussies celebrating their country's first time competing in this illustrious institution! Listen to Not My Father's Son for Free! Thanks to the lovely people at the Free Library of Philadelphia, you can now listen to Not My Father's Son online for absolutely free, just by clicking here. During the run of Cabaret, we managed to raised over $310,000 for Broadway Cares/Equity Fights AIDS! Thank you to everyone who contributed, including those who I shamed into giving just a little bit extra as punishment for using their phones during the show. The lovely Sienna Miller joined the cast of Cabaret as Sally Bowles. Wilkommen! I attended the Saturday Night Live 40th anniversary bash this past weekend. I hosted the show in 2000! It was a great, surreal evening. And oh yes, I'm wearing Calvin Klein. I attended the Drama League awards in NYC, and gave an award to Mark Saks, the casting director of The Good Wife. I am truly honoured to tell you the above portrait of me by Christian Hook was recently unveiled at the Scottish National Portrait Gallery in Edinburgh. Christian won the Portrait Artist of the Year award, and the competition was filmed by Sky Arts and shown in the UK, including the final episode when I went to Edinburgh for the unveiling. It is a huge honour to be in the SNPG,. especially painted by someone I admire so much, and someone with whom I got to know and collaborated with. I am wearing a kilt that is made of the official YES Campaign for Independence tartan, and by my side is a jar of Honey in honour of my dog who died last summer. The portrait below is a gift to me from Christian. Then you can see them both in his studio. And now here's a video of one of the sessions Christian and I had on the stage of Studio 54 in NYC, when he came to meet me and begin the process of the portrait. Today I was nominated for a Golden Globe, here is a statement I made! I am shocked and awed by this nomination, especially in a year when the show itself is honored. 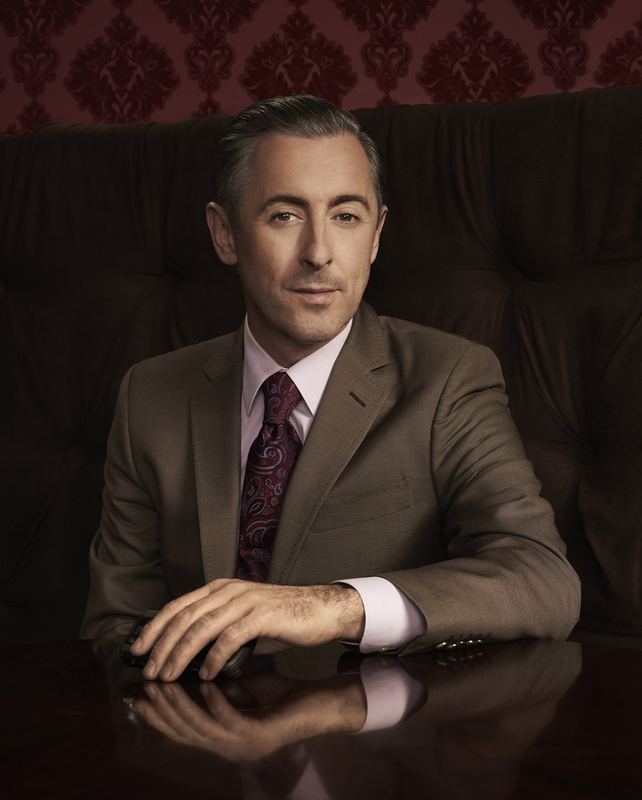 The standard of writing on The Good Wife is unparalleled, but matched by the grace of our glorious leader Jules. Thanks HFPA for making it easier to have my hair painted with a silver Sharpie this morning! Last night we had a stage door tailgate party photo shoot after our Legal Immigrant show in Santa Barbara! Except @jagoboom was talking to the nice lighting man and didn’t do a pic, and @kategils was busy assisting! The ushers from the Granada Theatre in Santa Barbara tonight!!! Just had a fun afternoon talking to these theatre students at UC Santa Barbara! The future is rosy! I love these kids! Last nights curtain cal at the Minetta Lane Theatre in NYC. Thanks @audibletheater for such a lovely couple of days. Now we take California! It’s Saturday Night On Broadway! Live from the Minetta Lane Theatre in Greenwich Village, New York City!!! Last night we did Legal Immigrant for @audibletheater at Minetta Lane theatre in NYC, and a whole bunch of friends old and new came along to support me and the band. One more show tonight and tomorrow we leave for California at the crack of dawn! Showbiz!